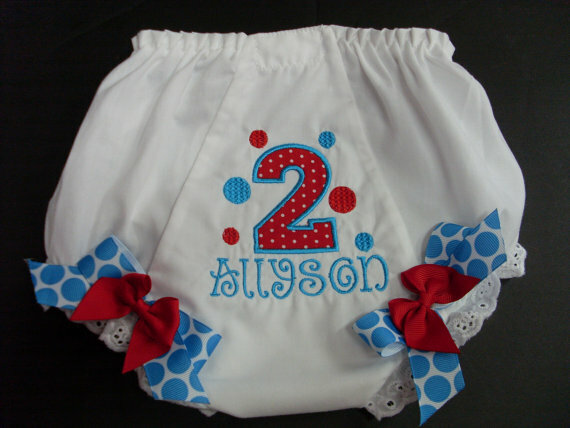 This adorable personalized Blinged Out Cat In The Hat birthday tutu set, is an exciting addition to our tutu collection! 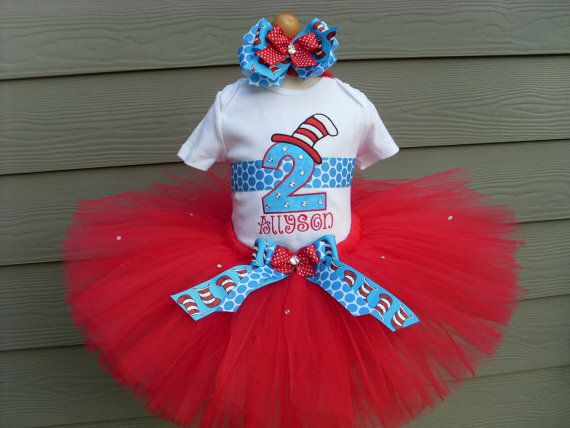 This tutu is very full and made in bright red, soft tulle. 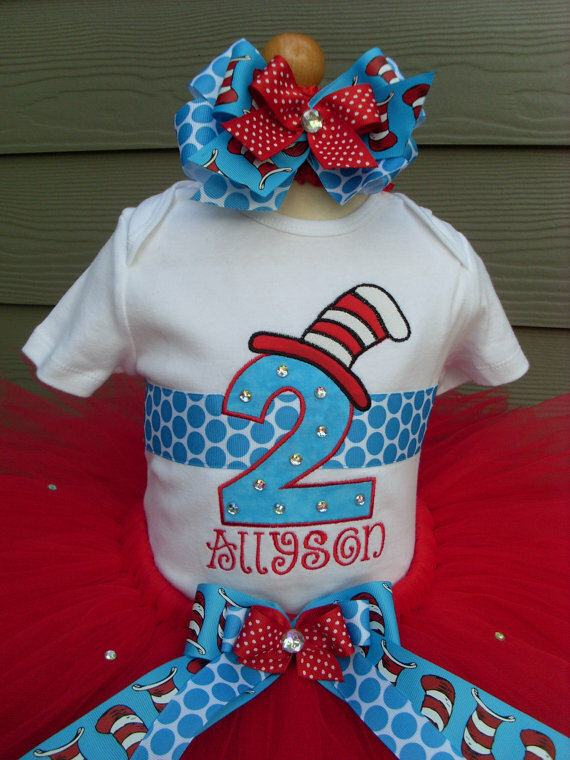 The shirt or onesie, comes with a DR SEUSS theme design, an NAME and an AGE #, that has been machine appliqued and embroidered, onto the shirt. It is NOT an iron-on! coordinating ribbon adds extra beauty. 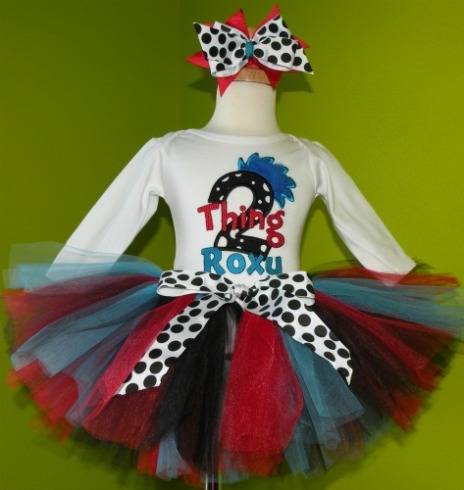 Rhinestones adorn the tutu and the shirt which gives this set the the FLAIR!! Also included is a matching triple layered HAIRBOW!